I made them with the Dragonfly Dreams Stamp set and Watermelon Wonder Card Stock and Ink and Tip Top Taupe Card Stock and Ink. These are both retiring in a couple of weeks to make way for some lovely new in-colours so if you love them like me grab some while you can. The cards were really easy to make and only took me a couple of hours which was good considering I had to make 75!!!! 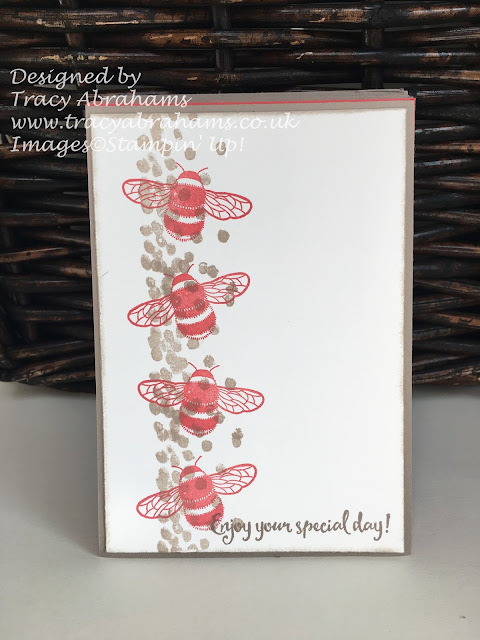 They went together very quickly and I loved the sentiments that was in the stamp set as it was perfect the occasion. Click on any of the Dragonfly Dreams labels under the pictures and it will take you straight to the online webpage to view and order the stamp set. If you'd like to join my Stampin' Up! team just like I did 3 years ago and enjoy all the benefits why not pop along to my online website and read all about the great starter kit offer of £130 product for just £99 plus. 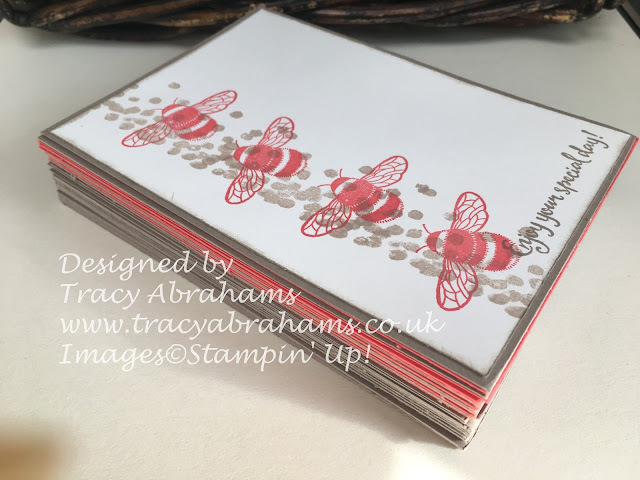 You get to see the catalogue products early before everyone else and you get to go to the great Stampin' Up! 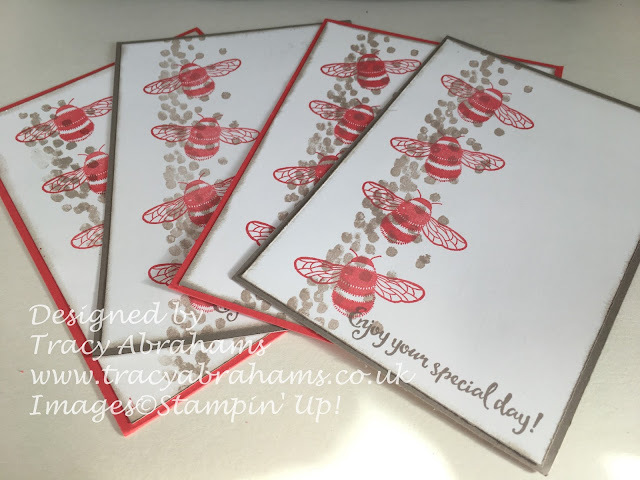 events you get 20 % discount on Stampin' Up! products and a hole lot more of benefits. I will support you with anything you want to achieve. You can just use the discount or you can build yourself a business or just have some extra money for anything you want. If you would like to join my team or get further information please email me or call and I'd be happy to help.